"...A bit like a sturdy 2AM DJ set injected with a smidge of Wolf Eyes, this blows the doors off most industrial dance stuff." - The Vinyl District OUT NOW ON VINYL: https://www.juno.co.uk/products/coletivo-vandalismo-urubus-fall-from-the-dying/677298-01/ CY is kicking off a new series of 12"s focusing exclusively on contemporary artists with some wild experimental industrial muzak from Portuguese duo Coletivo Vandalismo! 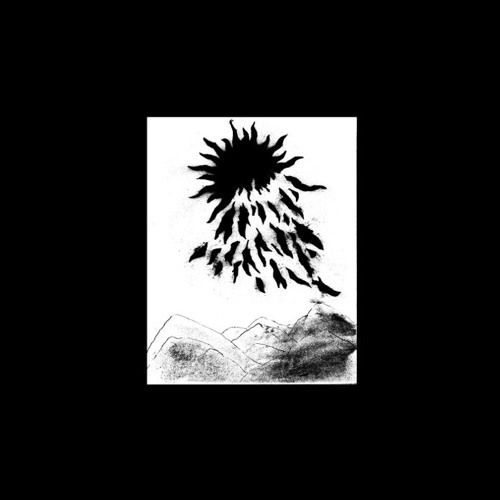 Coletivo Vandalismo - Urubus Fall From The Dying Sun In An Improvised Manner EP A1 - The (Black) Sun's Burning (feat. Neonthroat) A2 - Hostages of Society A3 - Zombie Zombie B1 - Are You Awake? B2 - Children of the Curse B3 - Black Sun's Demise Hailing from the city of Porto the duo also DJ under the name GAM and released their impressive debut LP on Lake Haze’s Eye For An Eye label. Their music has an immediacy that seems to stem from a background in live performance as opposed to polished studio sessions - an improvisational punk aesthetic that manages to carry this EP so strongly. Wild, crashing fx and unrecognisable vocal distortions layer atop wonky 90bpm drum machine grooves and the pair even show off what may be their turntablism skills on ‘Zombie Zombie’. There’s a nod to early concrète on the closing track ‘Black Sun’s Demise’ with whirring, mechanical noise motifs suddenly jolting us into punishing gabber-at-33-minus-8 territory. The DIY spirit is alive and well here and the feeling that things could fall apart at any minute just adds to the tension. B1 - Are You Awake?